Are you getting married soon? If so, you’re probably already thinking about the bachelorette party! The maid-of-honor and bridesmaids traditionally plan the bachelorette party for the bride-to-be. It’s a great way to have fun before the wedding and release some of those pre-wedding jitters. For those in the Central Virginia area, there are plenty of options for bachelorette parties in Charlottesville! Nestled in the beautiful Virginia wine country, Charlottesville offers many vineyards to explore! 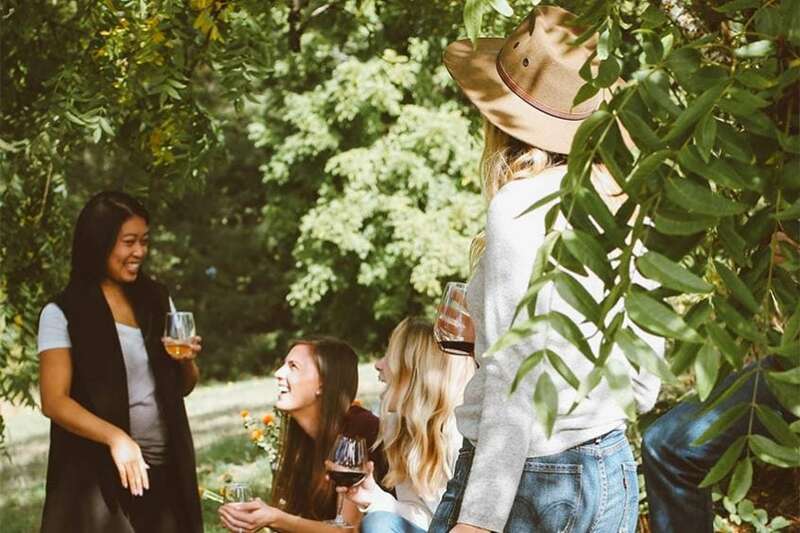 If you have a decent-sized group of people for your bachelorette party, you can book a tour through a service such as Wish Wish Wine Tours or Blue Ridge Wine Excursions. You’ll typically choose a route with 4-5 stops along the way. Bring lots of water and snacks so you stay hydrated and fueled up for a day of vineyard hopping! Not to mention, the wineries around Charlottesville make the perfect backdrop for a photo op, so be sure to take lots of photos to document the special day. If you prefer breweries, cideries, or even distilleries, you can choose to add those to your route instead of just vineyards. By taking a wine tour, nobody has to worry about being a designated driver! Conclude your Charlottesville bachelorette party with dinner and dancing at the Downtown Mall. For a twist on the traditional bachelorette party, why not try a fun activity that requires a little bit of brain power and teamwork? Escape rooms are continuing to grow in popularity, especially in Charlottesville. There are several escape rooms to choose from in town, all with varying themes. Cville Escape Room offers completely unique designs with themes such as Paris: Le Chat et la Souris, Jack the Ripper’s London, and Sherlock: Moriarty’s Revenge. If you’re into learning about local history, then Unlocked History Escape Rooms will entertain you as well as educate you about the area’s history. Go on a quest for Life, Liberty, and the Pursuit of Happiness in their Thomas Jefferson-themed room, titled The British are Coming. An Edgar Allen Poe-themed room dubbed The Raven and a murder mystery room should be opening in 2019. Immersion Escape Rooms is centered around you being part of the story, with different “episodes” to choose from. For a challenging and unique bachelorette party in Charlottesville, an escape room is a perfect option! Book a private studio at Muse Paintbar for the ultimate art-lovers bachelorette party! For private events, you get to choose which painting you’ll be learning from their extensive online gallery. Commissioned custom paintings are also available if you are looking for something more personal. With wine, beer, and sangria, you can mingle and drink for 30 minutes before the painting begins. Order food from the kitchen at Muse Paintbar or you can cater your own food if you’d like. Even if you don’t think of yourself as a painter, you’ll be watching and learning as an artist shows you what to do every step of the way. Muse Paintbar also donates 5% of all the profits to local causes, so you are helping contribute to the community at the same time! If you have a wedding coming up, those are just a few ideas for fun bachelorette parties in Charlottesville! You don’t need to travel outside the city or spend a lot of money to have a great time.